Need to find a pet friendly hotel in Saugerties NY? Click the Pet Friendly Accommodations Button below! 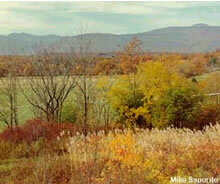 Saugerties is a quaint community located between the majestic Catskill Mountains and the scenic Hudson River. Just ninety miles north of New York City and forty miles south of Albany, It is sometimes referred to as the "Festival Town" with a hometown feeling you immediately sense. You and your pet can stroll through othe 19th century Village where our restored carousel and our historic museum are located. Or visit the fully operational lighthouse, the marina, and waterfront park, Saugerties is home to many fine restaurants, and dozens of antique shoppes all for you to enjoy. Looking for a hotel for your dog? Finding pet friendly hotels in Saugerties is easy with PetTravel.com. Click the SEARCH PET FRIENDLY ACCOMMODATIONS button above for a list of pet friendly hotels, motels, bed and breakfasts, small inns, and vacation rentals in Saugerties. You can even book your reservations on the same page! Be sure to mention Pet Travel when you make your booking.